Do you fly Czech Airlines or our SkyTeam Alliance partner airlines on a regular basis? Become a member of the OK Plus frequent flyer programme and start collecting miles for used tickets and additional services and enjoying benefits and privileges connected with membership. The more you use the services of Czech Airlines and our partner airlines involved in the programme, the more benefits you can draw. Travelling will become more comfortable and easier. OK Plus membership programme is not subject to a fee. Children from two years of age can enrol in the programme. 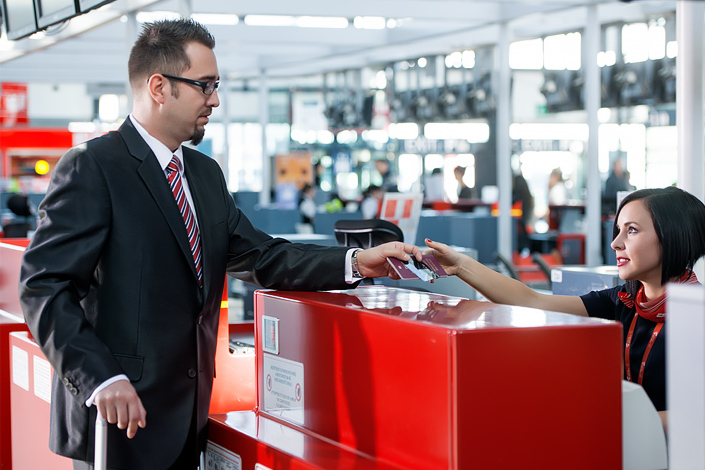 Even corporate clients can enrol in the frequent flyer programme and use the benefits and privileges offered by the programme while reducing travel costs. Become a member of the OK Plus Corporate frequent flyer programme and start collecting points for all Czech Airlines flights taken by your employees which you will then be able to exchange for the benefits offered. Every Czech Airlines flight will gain you double the rewards as we will credit points to your company OK Plus Corporate account and miles to a private OK Plus frequent flyer programme of the employee who took the flight. It pays off to be an active OK Plus Corporate member.